Nicknames for kids - decidedly Irish or universally irresistible? 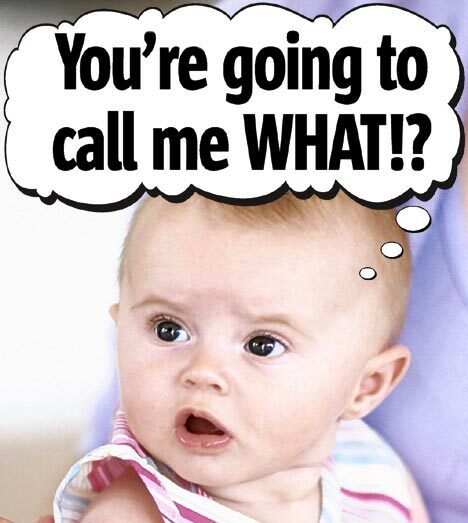 Do you have nicknames for your kids? We do. Lots of 'em. So many that I fear they may be causing some issues with our identical triplet boys. But, to be fair, let me start at the beginning. When Liam, now seven, was born, he was a real snuggle bug. It was the winter of 2004/5 and during those long, cold, dark months, he spent a lot of time snuggling in and scootching up my shoulder in that way only a newborn can. You know about scootching, right? It's that wiggly way babies nuzzle in, up and over your shoulder; it's really quite pleasant to experience, especially when the wind is howling and the temperature is falling. This sweet baby maneuver earned Liam the nickname of "Scootie" in addition to an original little ditty we'd sing to him that went something like this: "Ooh, ooh, Scootie, ooh Scootie-Loo. Ooh ooh Scootie. Ooh Ooh, we love you!" Sleep deprivation can do strange things to you and this was definitely one of ours. I'm sure Liam is grateful to have outgrown the Scootie nickname but, the standard was set and his four other siblings are now suffering the consequences. -----------------For Ciara, it's not that bad. When she was first born, we called her "Bitsy" because she seemed so itsy-bitsy compared to her big brother Liam, who was almost two at the time. As the months passed, she turned into "Little Bitsy Burps A Lot" because, well, she burped a lot and it sounded like a cute doll name and she seemed like a cute little doll. When she started to talk, she couldn't say "Ciara" and it came out like this "Ciaga" -- pronounced like this: "Key-Ga." Somehow, that one stuck. We all call her Ciaga. Which has line extensions including: Ciaga-Loo, C.Loo, Lucy Loo, and LuLuLemon. Don't ask. It just happened. Sleep deprivation still reigns supreme. The bad news is that as this five year old hops on the bus and heads to kindergarten, we are waving good-bye to our sweet Ciaga-Loo. The good news is that the kids at school all call her Ciara; she can say it, spell it and knows without a shadow of a doubt that Mom and Dad's silly nicknames stay at home. Unfortunately, the same can not be said of our identical triplets who, at three years old seem to already have some identity issues brewing. We consistently dress Kevin, Declan and Cormac in red, blue and green to help folks tell them apart; this backfired rather dramatically when Declan started to tell people his name is "Blue" . You would think given the challenges that these guys face, walking around town with identical little faces, we would stay true to the names we gave them. But alas, that is not the case. I find nicknames just too irresistible and as such, Kevin has become KooKoo Bear, Declan is Duckling and Cormac is MacMac. But wait, it doesn't end there, there's more! For Kevin, KooKoo Bear has several iterations, our favorite of which includes pretending to page him, like those announcements you hear in the airport. "Mr. Bear? Is there a Mr. Koo Koo Bear in the house?" He thinks it's hilarious and so do we. Our little Duckling (formerly known as "Blue") tends to take things relatively in stride, including the occasions when we quack at him, assuming that he must speak Duck. For the record, he does not and seems to find our antics and quacking less amusing by the day. Last but not least, there is MacMac. He was born last and came into the world as "Baby Mac." Not to be outdone by his identical siblings, he was a chow hound from day one and clearly committed to becoming "Big Mac" on the fast track... which of course led us to all sorts of fun including the occasional "Mac Snack Attack", "Mac & Cheese" and the final grand evolution to "Macaroni" which, of course, culminated in our admittedly absurd paging game: "Mr. Roni? Is there a Mr. Mac A. Roni in the house?" Is it sleep deprivation? Are we insane? Do all parents have numerous strange nicknames for their kids? I don't know. All I know is that yesterday, Kevin came home from preschool with some “artwork” that said "KooKoo" on the back. Apparently the teacher tried to write "Kevin" and he indignantly insisted "my name is NOT Kevin. I am Koo Koo Bear!" Um, Houston, I think we have a problem. I hope it's one he outgrows. But if not, I beg you not to make fun of my Koo Koo Bear. If you do, prepare for the wrath of his loyal back-up unit because if there's one thing I can say about Scootie, Ciaga, Duckling and MacMac and KooKoo, it's that they stick up for each other... which, I suppose, is at least one thing we’ve gotten right in this hazardous, sleep deprived world of parenting!